Your mobile phone – is it backed up ? 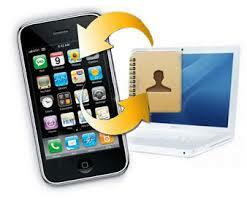 A recent backup will ensure you won’t lose your valuable address book and photos, etc. Monitor problem – what you can check before calling support …. The first thing is to check if the fault is with the monitor – or your PC. This is important because – if it’s the cable or the monitor, it can be easily replaced yourself without too much expense (possibly just £10 or £15 – or even £0 which is perfect!). 2. Cable is securely attached to the screen – tighten the thumbscrews if necessary. 3. Cable is securely attached to the back of the PC – tighten them if necessary. 4. 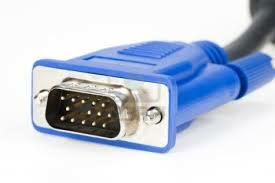 Ask a friend / colleague if they have a similar cable (blue is VGA, white is DVI and black is HDMI). 5. Ask a friend / colleague if they will let you borrow their monitor – to see if it is at fault. If you still see nothing on screen, the fault is likely with your computer itself. It contains a video card (either built-in) or slotted in which may be faulty and need replacement. Or there could be a more serious problem with the circuitry inside your PC which may make it not economical to repair. * an amber light can mean one of two things – it’s in “power save mode” or not connected to the PC. In power saving mode, usually pressing the space bar on your keyboard (and/or moving the mouse) will restore the screen to life. * If not connected to the PC, usually it will show the words “No connection” but again these words may not be visible if the monitor’s gone into “power save” mode so you may wish to do the above first to check. Broadband not working ? – What you can check before calling your supplier …. If you have any other devices in the home which can connect to the internet – such as a tablet or smartphone, can they connect to your router via cable or wirelessly? 1. Is phone cable from your modem connected into the socket securely ? 2. Is the “ADSL” light on your modem visible ? 3. Is your phone line working okay ? If not check the cable is firmly connected between your phone and the socket ? 1. Is cable firmly connected to the back of the computer – and the modem/router ? 2. Can you see the network connection symbol in your “notification tray” (near the time). If not, check it’s connected using the Control Panel. I will publish an article showing how to check this shortly – in the meantime, please feel free to email enquiries@pcgp.biz for advice, stating if you’re using Windows XP, Vista, 7 or 8 ? 3. Does the problem remain after restarting your computer (using the Shut Down command) ? 1. Is the wireless on your laptop turned on – often there is a switch and a corresponding light ? 2. If using an adapter, is it fully plugged in ? 3. Is the “Wireless” light on your modem lit ? 4. Does the problem remain after restarting your computer (using the Shut Down command) ? If none of the above resolve your problem, and especially if your phone isn’t working either and it’s not a cable problem, you may now need to call your Internet Service Provider for help. 1. If possible, it’s best to call them from your home phone number as the call will usually be free. 2. Even if calling them from a mobile, it’s best to call whilst at home and near your computer, modem and connections so they can troubleshoot your problem and hopefully resolve it before sending an engineer (which they will often charge for if the problem is found to be with your computer or cabling).